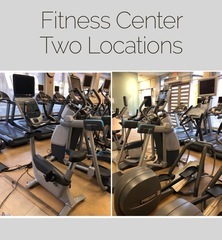 M21544 DC area fitness center is restocking its facility and will sell cardio, circuit and free weight equipment excess to its continuing operations. AUCTION CLOSING DATE: (EXTENDED 2 Weeks) Wednesday, May 9th Bidding closes on the first item at 12:07 pm, then closes at the rate discussed in these Terms and Conditions of Sale. All items moved to one location for easy Preview & Removal!